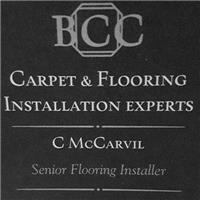 BCC Pro Carpets & Flooring - Carpets/Flooring based in Rochester, Kent. BCC Pro Carpets and Flooring is a family run business that provides our local communities with quality carpets, flooring and installations. We have 27 years of experience in this industry and are capable of all types of flooring installation. We are also fully insured. We provide a vast range of products from leading manufacturers. Whether you require Flooring for your box room, Luxury vinyl tiles for your kitchen or your large town house fully carpeted. We have the correct products for you. All fully guaranteed of course. Our Gallery has a wealth of pictures of our past work please have a look as they may provide inspiration for own floor covering project. The areas we cover include Kent, South East London and Essex. Feel free to contact us if you are near these areas. We provide a Free No Obligation Quote and Survey Service in order to eliminate the guess work from your floor covering project. So why not sit back, relax and allow us to dot the I's and cross the T's for you. At BCC Pro Carpets and Flooring we also endeavour to support our local charity and run competitions on our webpage.